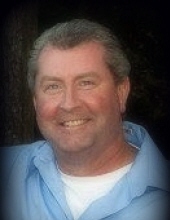 Jimmy Francom, age 48 of Carrollton, Georgia, passed away on April 7, 2019. He was born June 7, 1970 in Mableton, Georgia, the son of George Francom, Jr. and Norma Thornton Francom of Ranburne, Alabama. He was a graduate of Central High School and was employed with Silikal America. He enjoyed golfing, bowling, fishing and hunting. In addition to his parents, he is survived by his wife, Deanna Francom of Carrollton; daughter, Maggie Francom also of Carrollton; sister, Teresa Welch of Ranburne, Alabama; brother and sister-in-law, George Francom, III and his wife, Carrie of Bremen; nephews: Brandon Smith, Joshua Welch, Nicholas Welch, and Aidan Freund; and great niece, Tinsley Smith. A memorial gathering will be held at the Martin & Hightower Reception Center at 108 Central High Road, Carrollton, GA 30117 on Thursday, April 11, 2019 from 3:00 PM until 6:00 PM. Flowers are welcome but for those who wish memorial contribution can be made to the Children’s Hospital of Birmingham at www.childrensal.org/donate. Messages of condolence may be sent to the family at www.martin-hightower.com. Martin & Hightower Heritage Chapel has charge of the arrangements. To send flowers or a remembrance gift to the family of Jimmy Francom, please visit our Tribute Store. "Email Address" would like to share the life celebration of Jimmy Francom. Click on the "link" to go to share a favorite memory or leave a condolence message for the family.